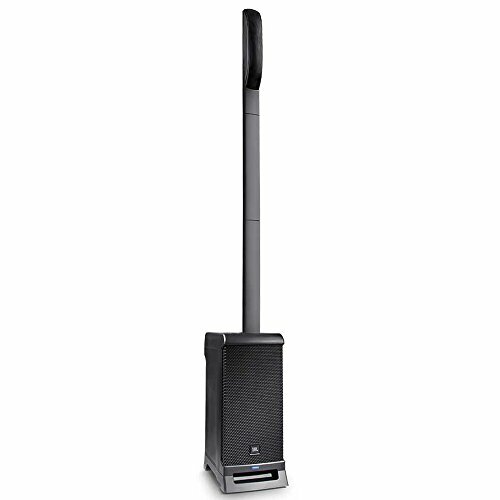 Get that world-renowned JBL Professional sound anytime, anywhere with the new JBL EON ONE PRO - the first portable, battery-powered, linear-array PA system in its class. With a lighter, more compact design and up to 6 hours of playtime provided by a rechargeable lithium-ion battery, you can now take your performances to places you've only dreamed of. Bring the band along and get pristine audio quality through its 7-channel analog mixer with integrated effects. Capture the moment or add lighting effects with the built-in accessory mount for a camera or lighting element. And keep the crowd engaged between sets by streaming Bluetooth audio from your mobile device.